Everyone who I have ever spoken to during the preceding’s to a wedding have always said the same thing. ‘Maybe we should elope, it would be cheaper!” Well you know it probably is. A lot cheaper. The average cost of an Australian wedding is touted at any where from the thirty five thousand mark up to nearly fifty grand. That’s a whole years income for a lot of ‘average’ folks. Even if you are not hiring the Ritz or getting The Brisbane Symphony Orchestra to play, a wedding is likely to cost you more than you thought. So here are a few thoughts on saving money for your wedding. 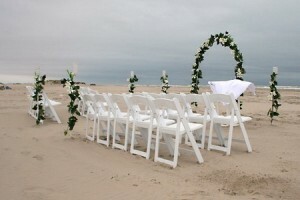 Outdoor weddings are a great way to save money! Go on, do it, just elope! The cost for having the ceremony done in a registry office is some hundreds as opposed to well over a thousand that can be charged, oh sorry, requested for donation, by a church. Yes, there may be no pipe organ, or special registry pen, or ceremony decorations, but at least you will be able to afford a honeymoon afterwards. Most wedding venues conduct a pretty slick sales pitch. They will get you in to book a date, charge you a fee per head then upsell you into penury on drinks and food. Why not hold the event in your back yard. It will hold a great deal more personal meaning and you won’t have the enormous extra expense associated with simply mentioning the word wedding to a venue. If you live in a 2 bedroom flat in the inner city then that may not be an option. However your old aunt and uncle’s outer suburban block may provide the cheap alternative that you are seeking. The venue itself won’t be a problem, just stitch together a few old tarpaulins and voila you have an instant marquee, you can just cut some old t-shirts into triangles and thread them on to some fishing line and you have some lovely bunting. Raid a neighbours rose garden and thread them onto the hills hoist in the back yard creating an Australian pergola shaded by roses as the perfect place to conduct the ceremony itself. Save money on location, locations! Guests should bring themselves a camp chair and folding card table, assuming of course that they want to sit down and eat in which case have guests bring a plate, this is Australia remember! What about the long held Australian traditions, like a big Barbeque; slap some snaggers on the Barbie, a few prawns and a whole bunch of lamb chops with some of old Auntie May’s coleslaw or if the budget won’t stretch to prawns for the big day, make up some hundreds and thousands as open sarnies with white bread for the festive feel. Some super little saveloys on toothpicks will make it feel even more Australian. It wouldn’t be a real Aussie wedding with out lots of beer, so pop on down to your local home brew shop and get brewing. A full brew will only take a couple of months to mature so you’ll need to plan ahead for this one, and if the relatives don’t like your home made flavour – all the more for you! Follow the advice here and you’ll have a wholly original Australian cheap wedding. 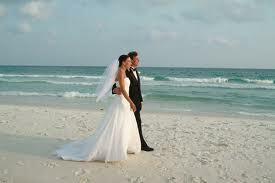 For all of your cheap weddings visit our website.